When it comes to the best media player, vlc comes in mind. It is a great media player for pc/laptops but is vlc for Android Mobile phone great as well? 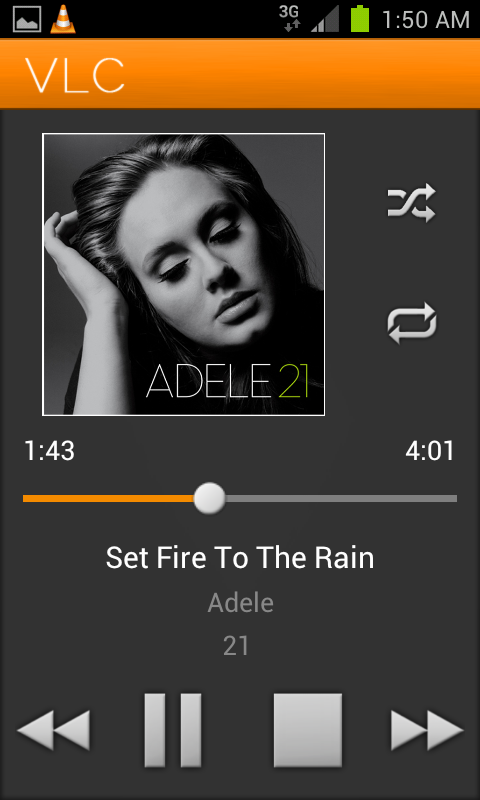 Lets take exhaustive look into vlc player for android. It has been officially available in the android market i.e. Google Play store but it is in Beta stage. The official VLC Player for Android is termed as VLC Beta (Neon Version) for now as it is primarily for those android devices with CPU ARMv7 and which will support NEON. 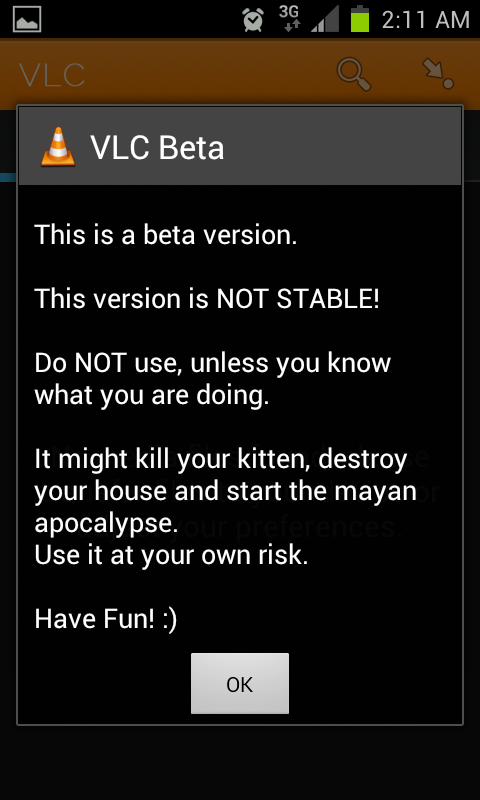 Name of the Android Application to be reviewed : VLC Beta (NEON version) for Android Mobile. Device used to Review : Samsung Galaxy S2. Date on which Reviewed : 24 August, 2012. It is very Basic player at this stage. The UI is simple. There are no confusing buttons but at the same time, UI is not rich. When you install VLC and launch it the first time, it scans all directories to generate media library and video thumbnails and it takes good amount of time doing so but wait, this is not just one-time process. It scans again and again after subsequent usage. This building library feature is somewhat buggy because many a time when I launch vlc on my Samsung Galaxy S2 android mobile, it shows no media files for a second which surprises me but then soon it populates the list of all files. 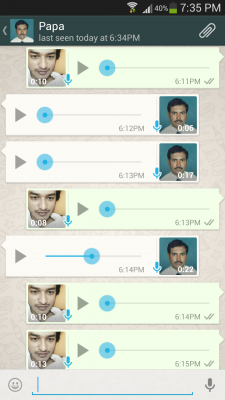 It is video player as well as audio player for android phone. Hence it has two major Tabs marked Video and Audio. Another annoying thing is that whenever you launch VLC, a dialog box pops up notifying about how buggy and unstable vlc could be since it is a beta version. In the landscape mode, we see more easy navigation icons like Video, Audio, Search, Network Streaming, Directories but just look at the screenshot below and you’ll notice that ‘o’ ending of the word Video and Audio is not visible (Another bug – sign of bad design) whereas in the portrait mode, only two tabs are available with Video and Audio word rightfully displayed. One thing where vlc does great is the Search feature, As soon as you start typing in search box, it displays you the list of matching files in realtime so we give 5/5 points for the search feature. When watching any video, there are few onscreen controls like play/pause, next, previous, lock, fit(aspect ratio). You can change volume by sliding your finger upwards or downwards on the playing video but pinch to zoom feature is not there as in mx player. Instead, you can use the bottom-right control to fit the video centrally or horizontally or vertically or change its aspect ratio. The lock feature is also not efficient as when you hit on the lock icon located in the bottom-left side on the playing video, it would prevent the video from rotating to landscape or portrait mode but it is still sensitive to touch and on-screen controls fly up on the screen if the video is accidentally touched. The lock feature should fully disable all on-screen controls except the lock button itself. There are only few settings in vlc which can be opened by hitting option button on android phone and choosing preferences. If you enable Hardware acceleration, the player becomes buggy on most of the devices including my Samsung Galaxy S2. Further, I tried watching phone captured 1080p video but it was not as smooth as it feels on stock android player or mx player. You can not adjust video brightness from vlc unlike mx player for android. About supported filetypes, it detects almost all types of video files including flv. It supports video resume feature so we can leave any video and exit vlc anytime and then resume from the same position of the video, the next time we launch vlc as it highlights the last played video in the videos list. When we switch to Audio, we see four tabs under it namely Artists, Albums, Songs, Genres which mean that our audio files are arranged on these bases but if you touch Songs label directly, it doesn’t switch to Songs view; you need to swipe your finger left again and again to reach to Songs view. We hope vlc developers should make all these sorting tabs actionable. When you play audio file and switch to videos list, the audio keeps playing and mini audio player is seen at the bottom while you browse through list of videos. If you play any video then and then stop that video, the audio doesn’t resume which we expected it to resume. The audio plays in the background even if you leave vlc. Also, there is a vlc widget which has play/pause, previous and next control. VLC widget is neat but not sophisticated. If you stop playing and exit vlc, the next time you launch vlc, it doesn’t highlight which audio file you were playing last time as it does with video. Talking about supported file types, it detects all types of audio files. Although, eqalizer controls are not available in mobile vlc player, yet we would like to appreciate the quality and the possible loudness which is higher and better than the stock android audio player. Audio is louder so you can listen to low sound audio file at reasonably good volume. It is Video as well as audio player so you don’t need separate players for playing your videos and music. Its search feature is remarkably good and very useful. It is free and doesn’t contain any ads. It is in beta version so unstable and buggy. It is not full-fledged media player yet and is not available for all android devices. The UI is little buggy, slow and need improvement. The UI and features are not rich. We donot get extensive menu, options and controls. The video quality is reasonable but not superb. Hardware acceleration feature doesn’t work for most of the devices and is very buggy. The controls should be more intuitive and should take advantage of touchscreen devices and gestures. Download vlc on your android phone if you love vlc but don’t expect much from it at this stage!